What a beautiful way to spend the day! We recently had the opportunity to crash a day care Valentine’s party and it was the best time we ever had. 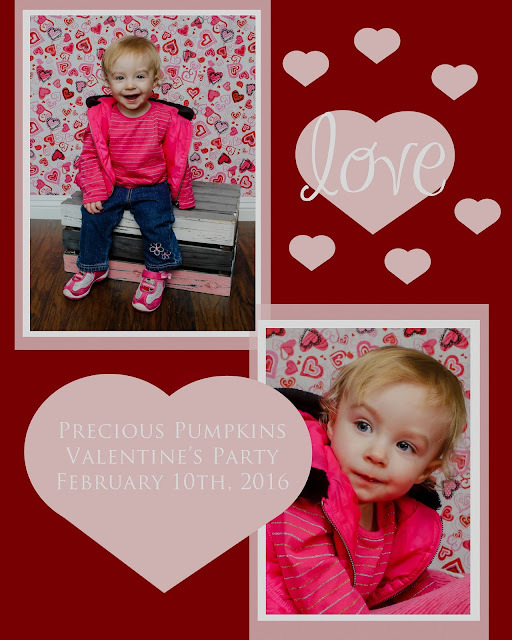 We brought our studio setup to the home day care to capture the little faces in all their fun Valentine outfits. As we took the individual photos, Patrick gave the rest of the group guitar lessons and a puppet show to keep them entertained while they waited. And what a great group they were! All those little faces shone with pride as they posed for their photos. Every one of them was well behaved and adorable. Yet, we were exhausted by the end of the shoot. Whew! As we finished up the shoot with a group and individual photos of all the care givers we realized what an exceptional group of women they were. The patience, skills, and love (and energy!) they use every day, all day, to care for our Precious Little Pumpkins cannot be emphasized enough. Kudos to all of these fabulous women! We are pleased to donate 10% of all photo sales from this event back to the day care to purchase and upgrade their toys and supplies.